A grouping of six wild mustangs, 1 1/2 life-size, nearly 200 feet long and 22 feet high. 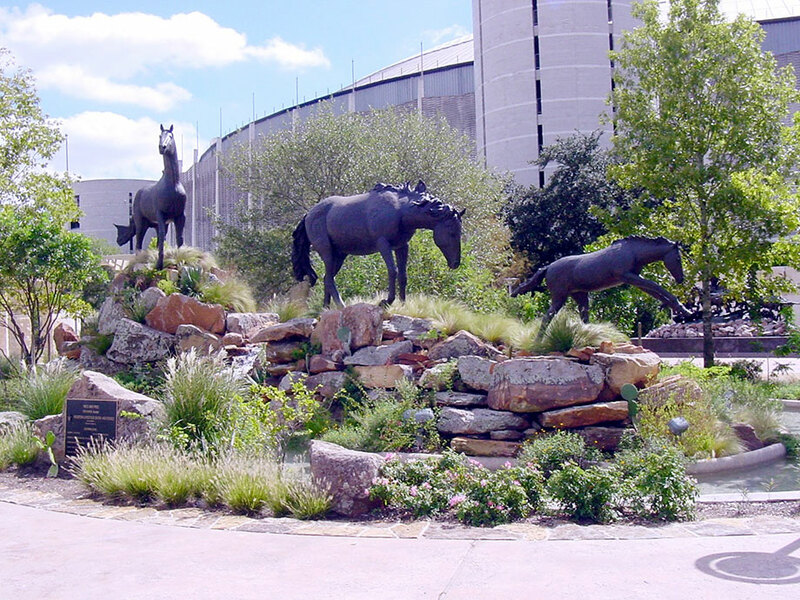 This bronze and stone sculpture is located at Carruth Plaza between Reliant Stadium and the Astrodome in Peliant Park. It functions as the ‘Gateway’ into a large Sculpture Garden. 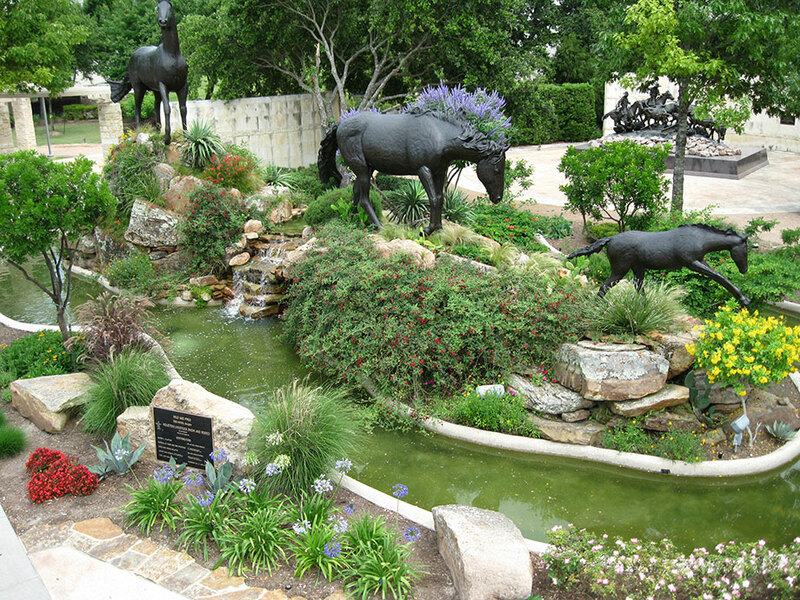 “Wild and Free” was created for the 60th Anniversary of the for The Houston Livestock Show and Rodeo, in February 1992. 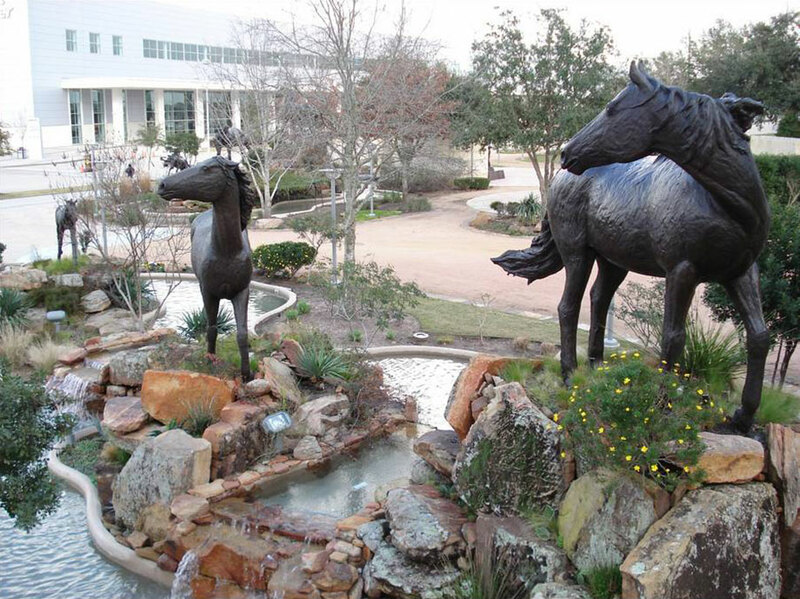 Originally installed in front of the Astroarena it was moved in 2003 to it’s present location. A limited edition maquette is also available.